Every year Australia exports around 4 million live sheep to the Middle East and over half a million cattle to South East Asia. Not only do these sentient creatures suffer on the long journeys on overcrowded ships with many not surviving the trip, but their treatment at their destination is appalling. 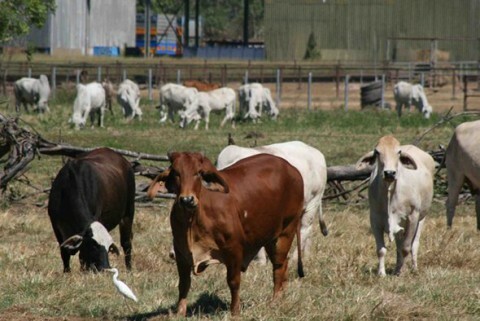 Most of the countries these animals are exported to do not have a single law protecting their welfare. As such, most sheep and cattle have their throats cut whilst fully conscious and suffer extended, distressing and painful deaths whilst waiting animals watch in terror. 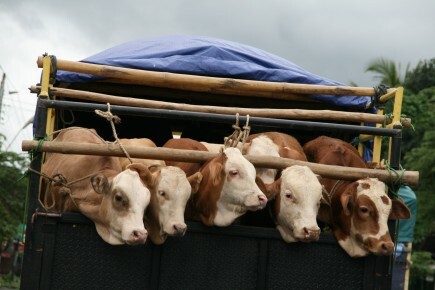 Following footage screened on ABC’s “Four Corners” showing the torture, maiming, and painful slaughter of Australian cattle in Indonesia, and the public outrage that ensued, the federal Minister for Agriculture temporarily banned exports to 11 abattoirs in Indonesia. Yet there are over 4000 slaughter locations in Indonesia! Unfortunately the ban didn’t last long and the trade in cruelty continues. We need our Government to ban all live animal export from Australia. More and more evidence demonstrates the innate cruelty of this industry. Your continued help on the issue is important to bring the day closer when not one more ship is loaded with Australian sheep or cattle bound for a cruel and painful death. There is no other way to stop the cruelty. We need to keep the pressure up! These animals need you to speak out for them. Contact the Prime Minister, the Minister for Agriculture, and your local Federal MP. Call radio stations and write letters to newspapers to express your opposition to the live export trade. Keep letters short, highlighting the key points: ie, the cruelty, and the fact that the presence of Australian animals in the Middle East & South East Asia sends the clear message that Australians must think that cruelty is acceptable – otherwise, we wouldn’t send our animals there. Spread the word & tell as many people as possible. The animals need your help! Help stop this horrendous cruelty!